Okay okay I know that of course we can't all be like Peter Pan and stay young forever but I really wish my children wouldn't grow up so fast. As a mum, I always want to be the one to take care of my children but my kids have always had other ideas, they have been steadily growing up into very independent little ladies. All of the baby items are disappearing from the house, Layla is walking more and more and wondering when I will have to be done with my pushchair addiction, not looking forward to going cold turkey. Last week we reached another milestone. After what felt like an extremely long day, we received an email at 4pm on Wednesday informing us that Gracie had been accepted to go to the same primary school as her sisters. On one hand I felt relieved, it would have been an absolute nightmare trying to get the kids to different schools. On the other hand I was feeling what I can only describe as sad. You would think having gone through this two times previously that I would be better prepared for this moment in time. Even though Gracie is number three out of four children, I have always seen her as the baby of the family and even now it just doesn't seem possible that she is old enough to be starting school. It is moments like these that make me feel like I haven't made the most of having the girls around. I guess it is the same with most things, you don't truly appreciate what you have until it's not there anymore. People tell you that time flies when you become a parent, you just don't realise how quickly it speeds past you. One of my friends kindly pointed out to me that I only had one more child to go and then I'd be "free", apparently this is something that as a parent, I should be really looking forward to but truth be told, I dread the day that all four of my children start school. I imagine myself feeling extremely lost. I'm always on countdown for the school holidays, I love having them all around, even when all they want to do is bicker with each other. 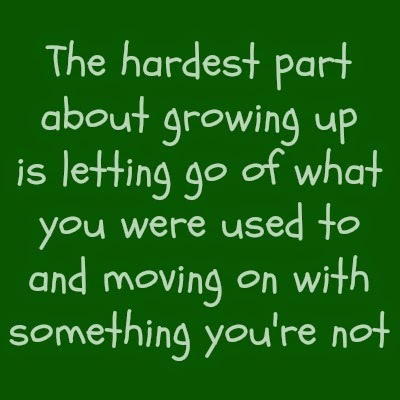 I've come to the conclusion that I need to find a way of letting go, loosening the ties a little because believe me when I say I love seeing my children growing, learning, achieving, it's just letting go seems to be easier said than done. I keep wanting time to slow down - it just seems to fly by in the blink of an eye doesn't it? I told my toddler last night that she must never get any bigger and lose that lovely toddler chunkyness and cute way of saying things! I seem to spend all day every day wishing I had a video camera trained on them to capture every single moment before it passes, too easily forgotten. I do not wish to ever be free of my children! I say the same to my youngest all the time!! I'm still sad that my son is at school now and he's in year 2. Love the holidays too. I feel the same my golden child leaves me for school in September and people keep saying well you'll still have termite... I want them all, at home all the time! Aren't we all so lucky to have such wonderful children!